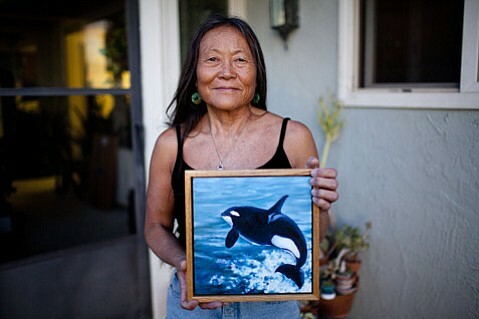 With each year Japan, Norway, and Iceland increase their self-made quotas to hunt whales. 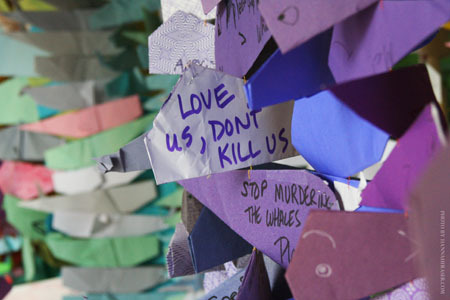 According to most recent estimates, since 1986 when the International Whaling Commission (IWC) moratorium on whaling, up to last year (2009) Japan, Norway, and Iceland have slaughtered over 38,000 whales*. 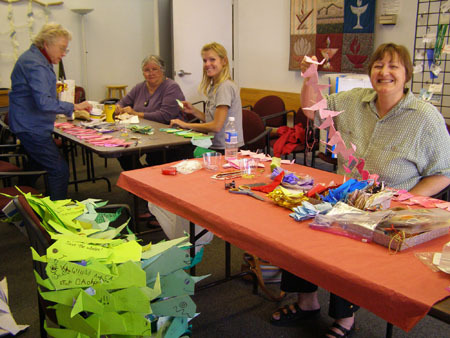 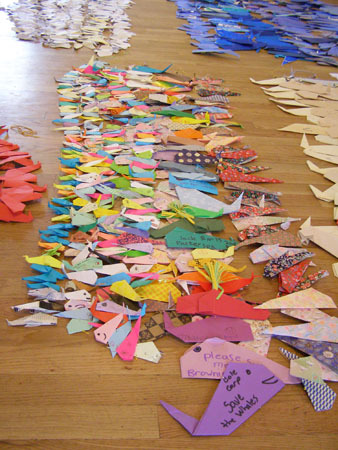 The Origami Whales Project began in Spring 2004 in response to the urgent need to raise awareness concerning the ever-increasing threat by the whaling nations towards the return of IWC sanctioned commercial whaling. 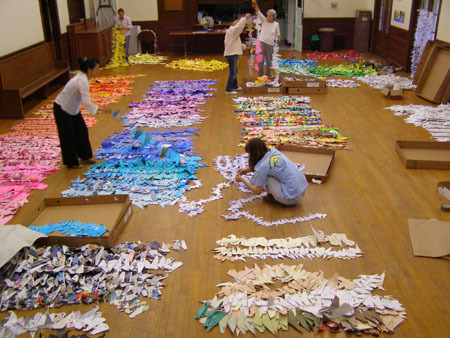 Through global public participation, a "Curtain of 30,000 Origami Whales" was completed in May 2007 as a powerful visual statement and memorial for the lives of whales killed since 1986. 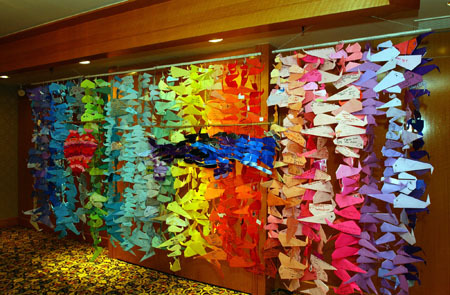 The curtain was first exhibited in late May 2007 at the Alaska Center for the Performing Arts (PAC) during the 59th annual IWC Meetings. 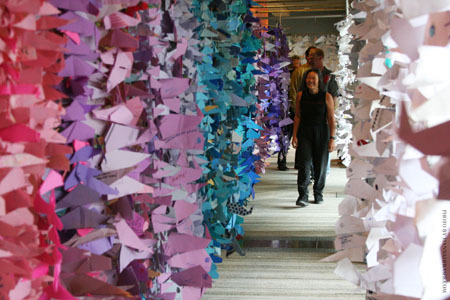 With a height of 5 feet, and a linear dimension of over 400 feet in length, the curtain was hung within an installation 17 feet wide by 50 feet long as a simple maze of aisles of origami whales, each representing a whale killed in 21 years since they were supposed to be protected. 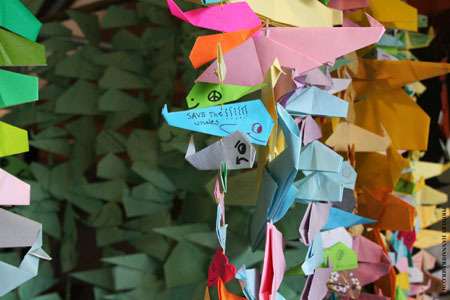 At the PAC on the 30th of May, "Whales Need US" (a coalition of 20 animal welfare organizations) hosted a special reception inviting all IWC delegates to attend. 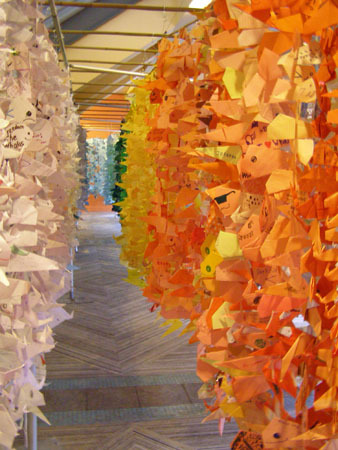 Numerous attendees walked through the curtain. 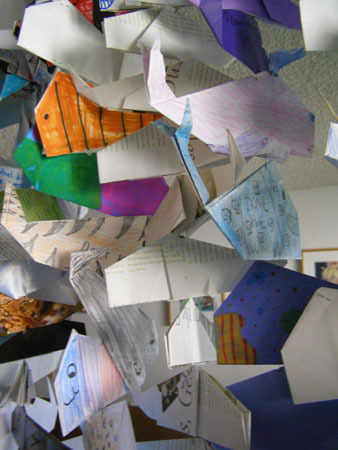 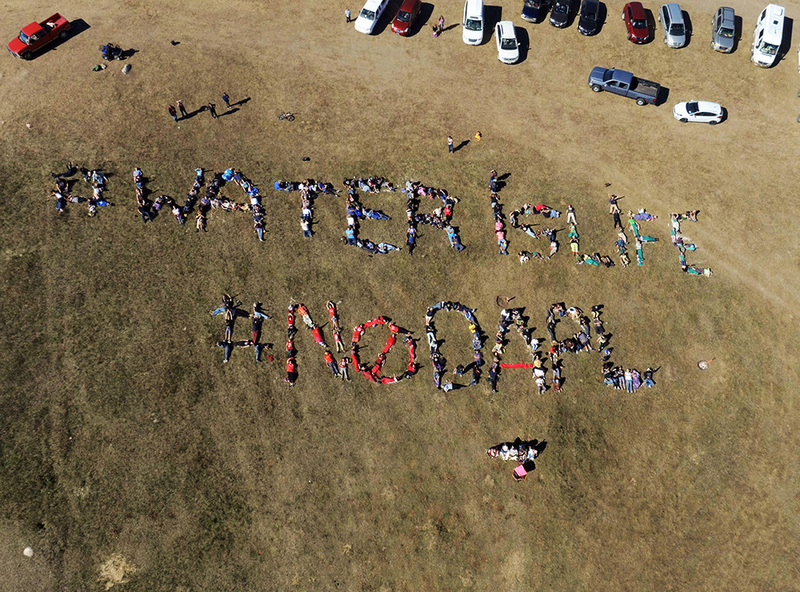 The story of the exhibit was screened on KTUU News (the NBC television station in Anchorage) and published in the Anchorage Daily News. 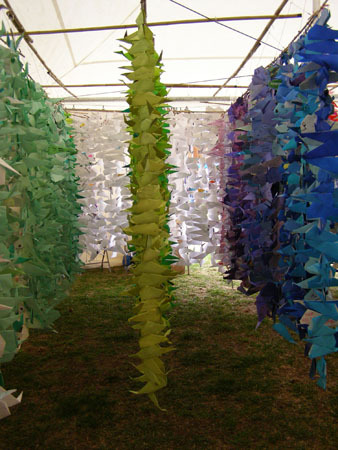 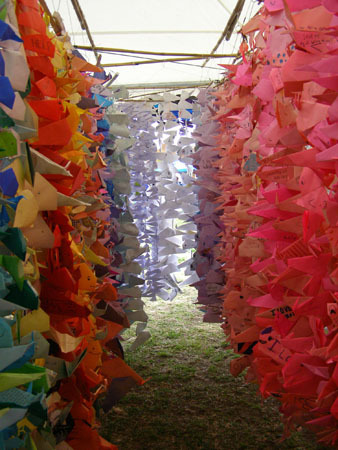 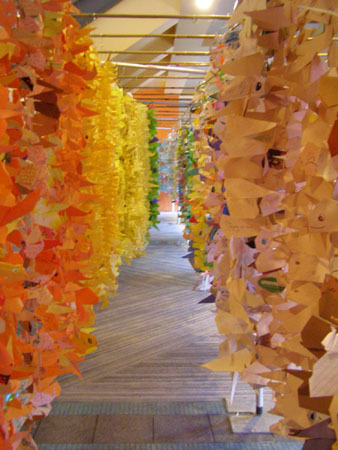 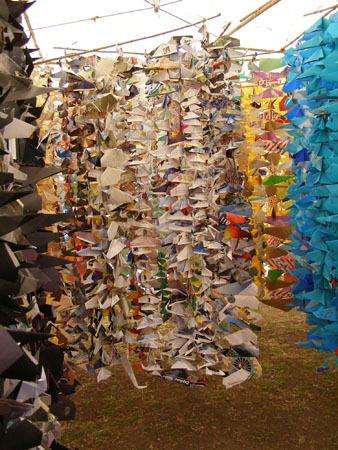 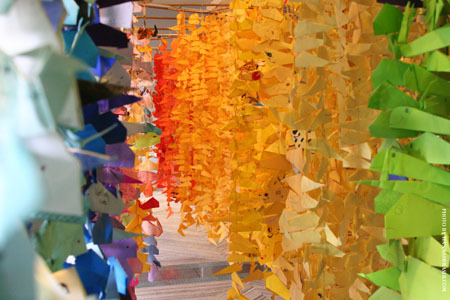 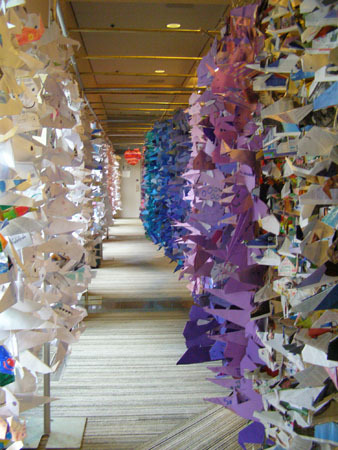 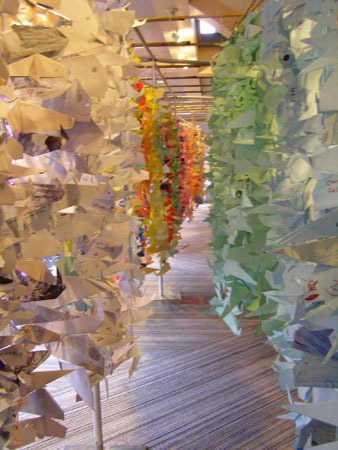 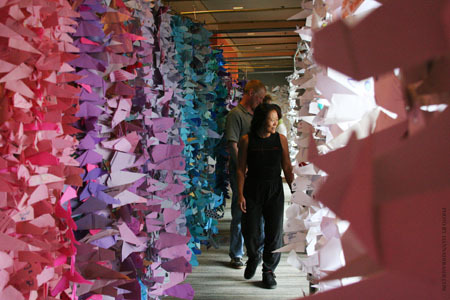 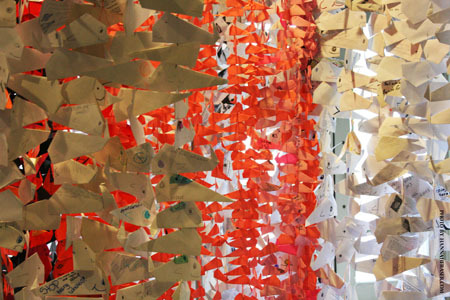 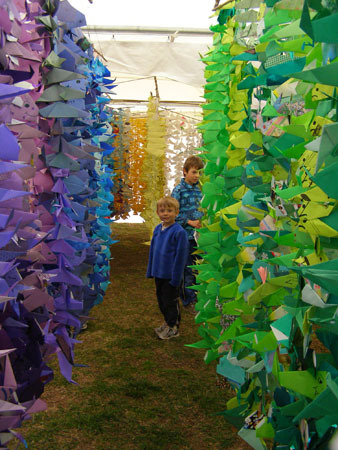 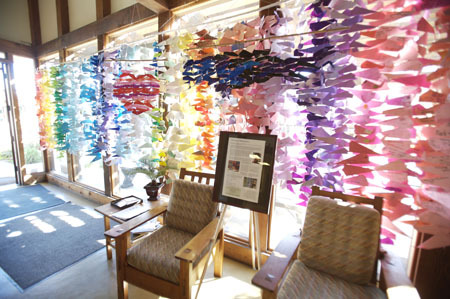 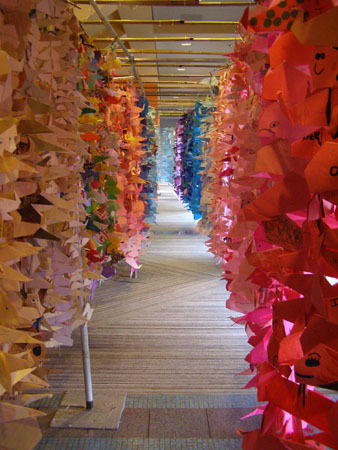 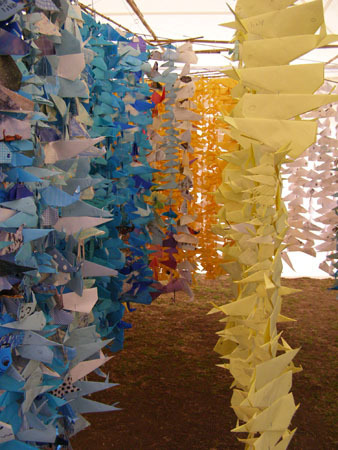 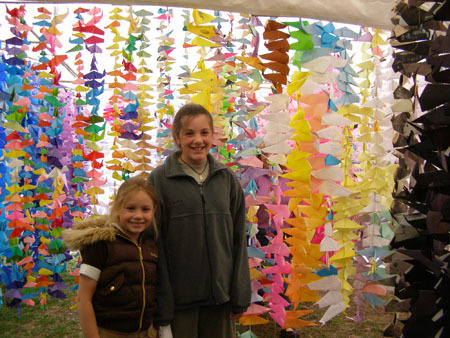 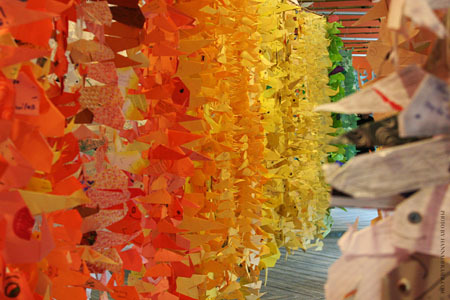 The “Curtain of 30,000 Origami Whales was also exhibited in a 20 by 40 foot space at the Alaska Oceans Festival (Anchorage, AK) on June 2, 2007 where hundreds of visitors walked through to experience this beautiful memorial to whales. 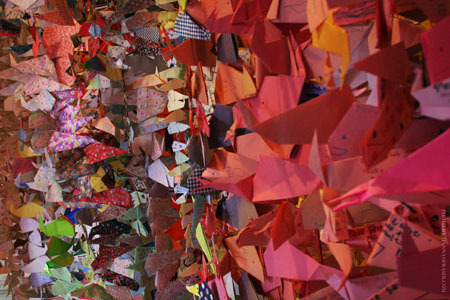 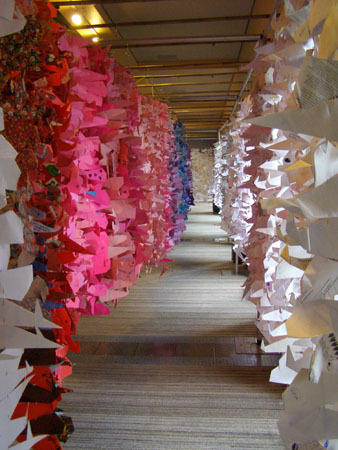 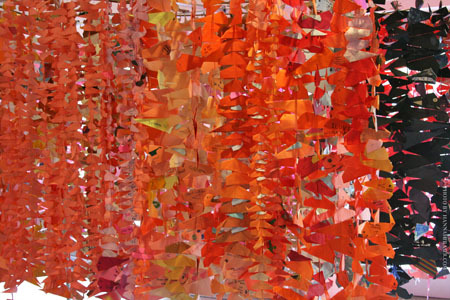 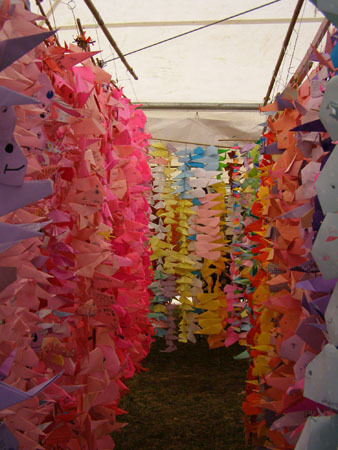 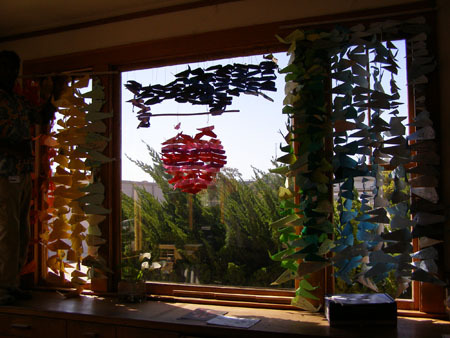 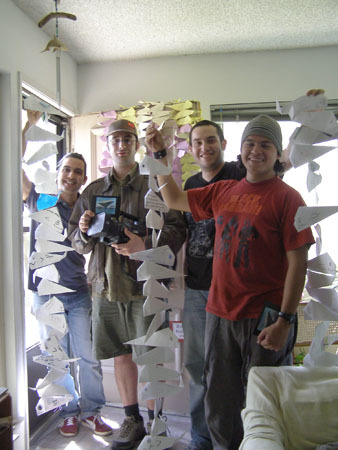 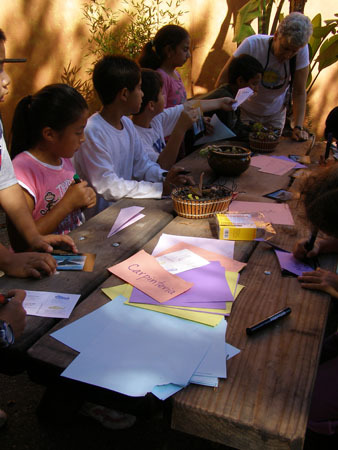 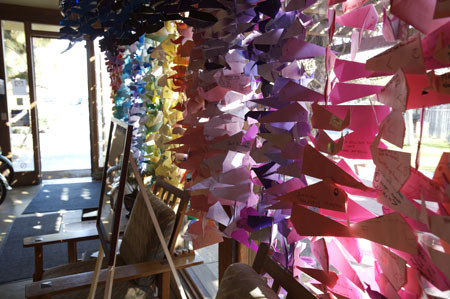 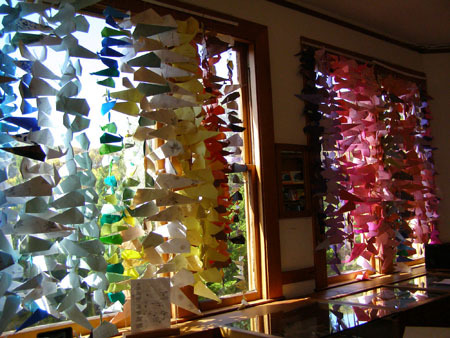 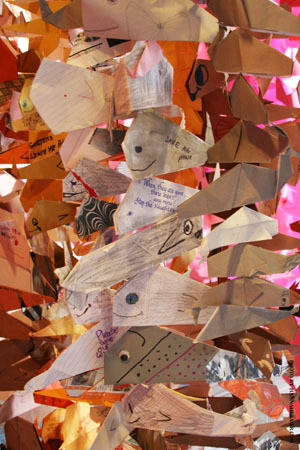 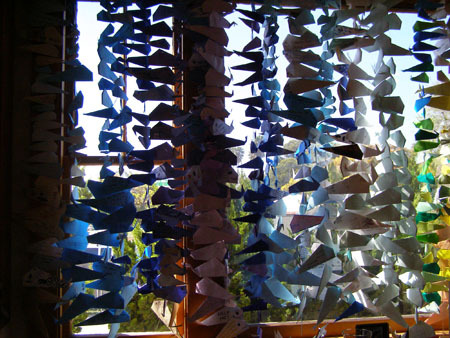 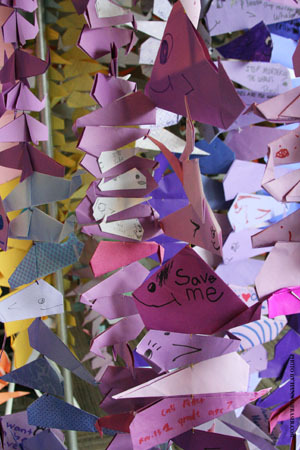 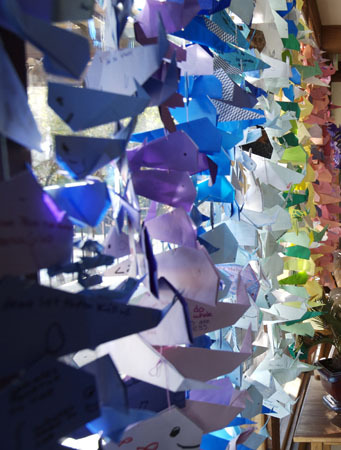 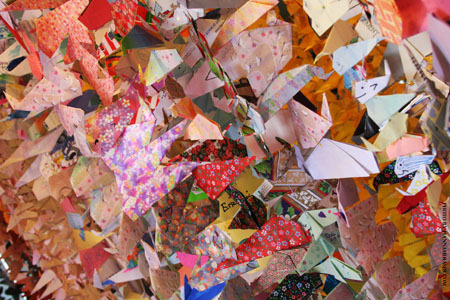 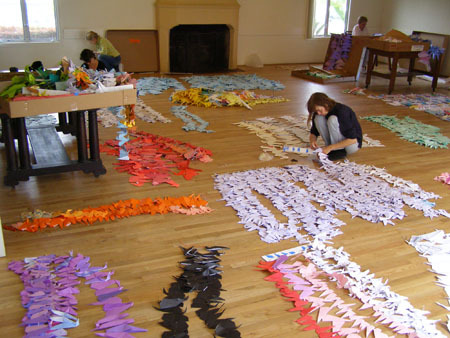 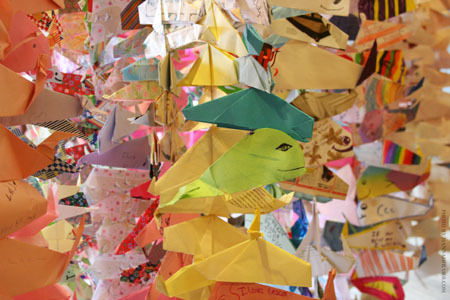 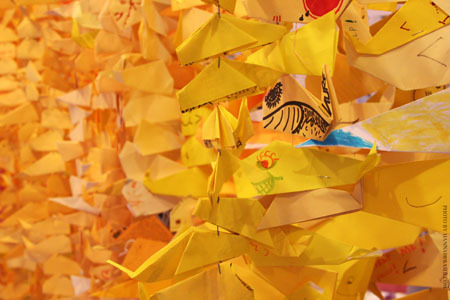 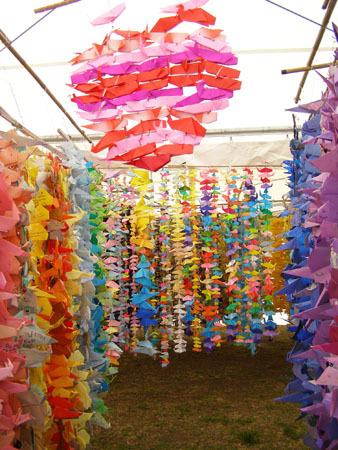 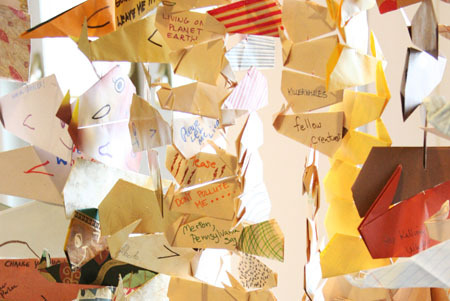 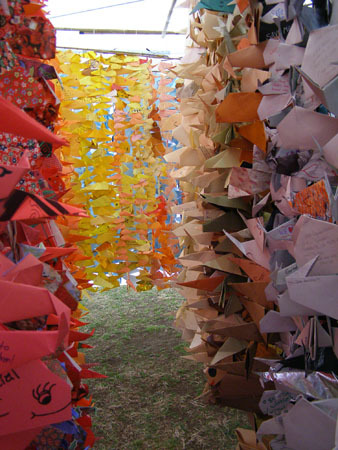 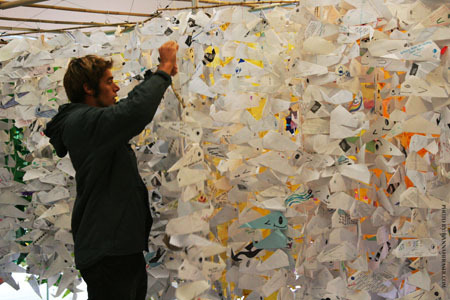 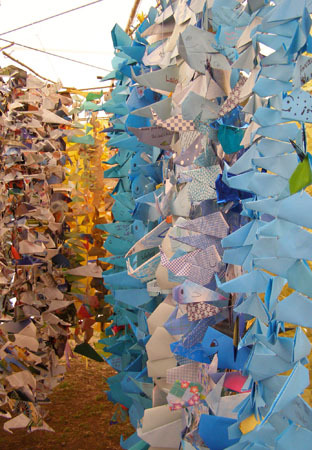 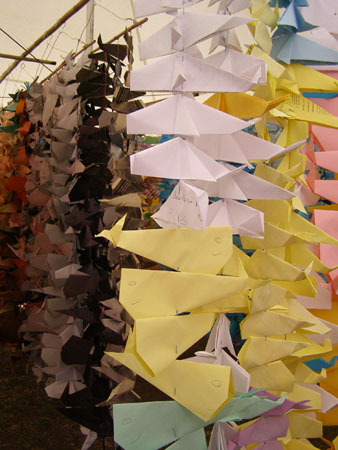 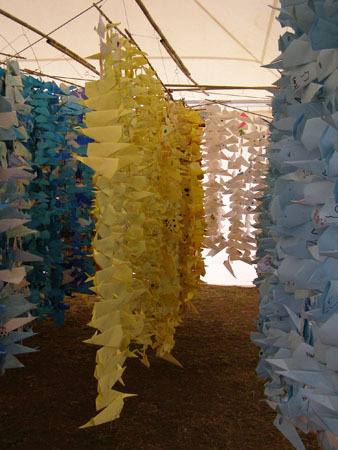 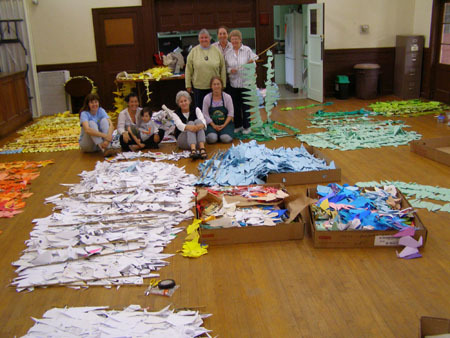 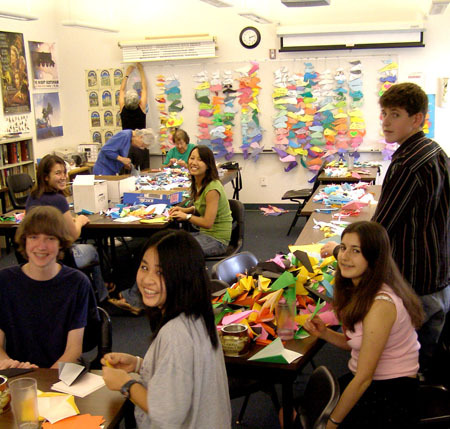 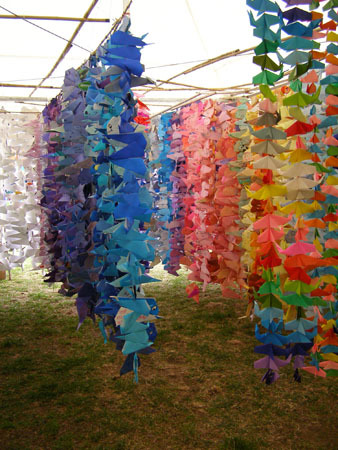 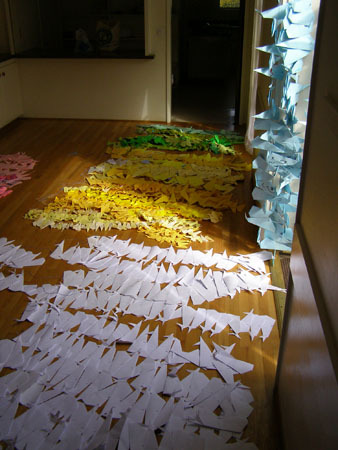 In February 2008, the “Curtain of 30,000 Origami Whales” was exhibited in a 20 by 60 foot space at Whale Day on Maui where over a thousand visitors walked through, expressing awe and gratitude for the exhibit; some were moved to tears as they realized the number of whales lost to whaling. 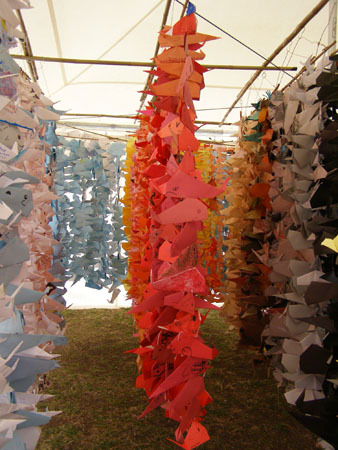 Representing the most recent estimate of whales slaughtered since 1986, updated for a fourth consecutive annual exhibit, the “Curtain of 38,000 Origami Whales" returned to Whale Day 2011 on Maui. 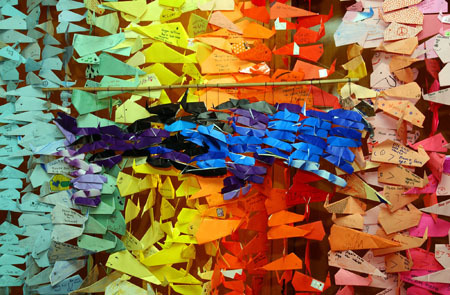 As the whaling continues, 2,000 Origami Whales are added each year to reflect the most recent estimate of whales slaughtered since 1986. 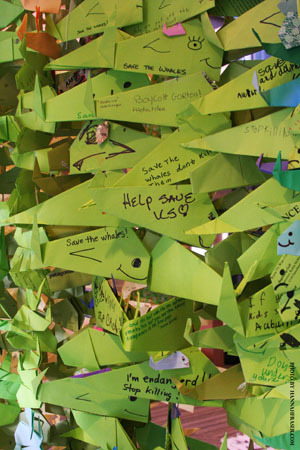 * Your tax-deductible contributions are needed to fund outreach and future exhibits of the “Curtain of 38,000 Origami Whales” to further raise awareness about the issue of commercial whaling. 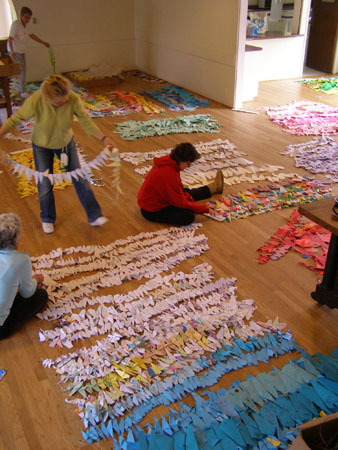 Since 2004, the Origami Whales Project (OWP) has worked to raise awareness concerning threats to cetaceans (dolphins and whales) through its stunning and memorable "Curtain of 38,000 Origami Whales." 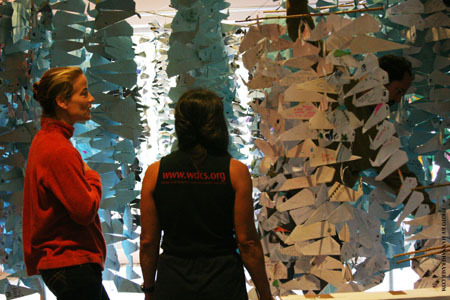 Created by thousands of concerned citizens across the globe and exhibited throughout the world, this large-scale public art project serves as a powerful visual statement and memorial for the thousands of individual whales killed since the 1986 ban on commercial whaling. 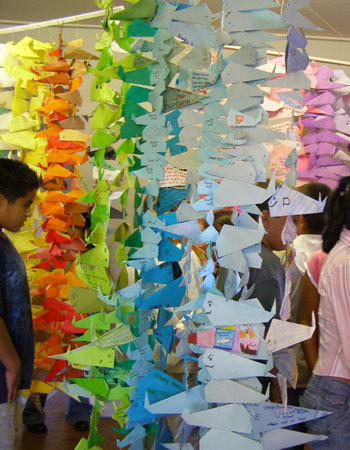 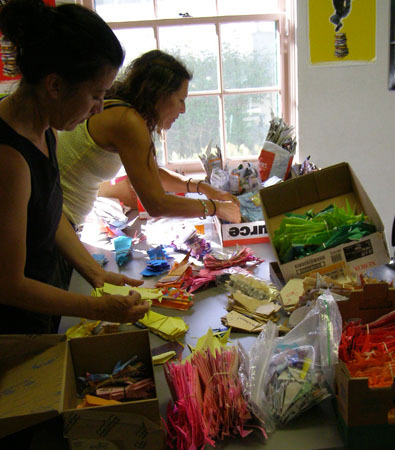 As urgent need for cetacean rights activities arise, the Origami Whales Project has expanded with additional outreach and education programs, creating "Curtains" of origami dolphins and whales in United States, Dominica, and New Zealand.